Thanks so much – I have added it to the post. Excellent pot, as always ! Anthony Grafton wrote an History of footnotes. What about an History of marginal notes ? Is there a difference in lay-out and margins according to the use of the book ? And to what extent “established” corpora like commentaries on e.g. the Decretum, play a role in this particular lay-out ? As ever great and thanks. Always happy to see you pop in my email. From a base of “enthusiastic amateur” I looked at Fig 4 with fascination and wondered if you knew more about the footnotes – who added them? over what time frame? and who would have had access to such a book? since that would of course determine who might ‘comment’. That is a LOT to ask, if you can point me to more info, forever grateful.. The conference referred to at bottom is all about that! Yes, layout greatly reflects use. Also, certain genres came with a preferred layout, though here, too, use (of that specific text) is often an important drive. To what extent “established” corpora of commentaries play a role in the se open spaces ? E.g. Copies of the Decretum Gratiani would contain numerous marginal notes, that were part of the teaching of the Decretum. In this case, extra space was needed in order to add notes and comments during class, hence the lay-out ? Also, is the open space limited to text- and school books ? While all books (with and without margins) could be glosses, the book with the notes you see in Fig. 4 can be connected to an early university environment (due to its contents, primarily). It will have belonged to either a student or a master. The marginal notations were perhaps first jotted down on little slips or on a wax tablet; the text on them was then copied into the book, at home presumably – students did not necessarily bring their books to class. The notes are contemporary, but other pages may contain glosses that were much younger: these objects were often sold secondhand and so we see different generations of users on the pages. Just to add a bit more detail to my earlier answer, all books have margins, but scholarly copies contain more notations in them than other genres. These books (i.e. those to study from) may also have extended margins, which would then take up 65-70% of the page. It was already anticipated that the standard amount of space would be insufficient. Yes, law manuscripts are among those, as are Bible commentaries. Wasn’t it also important to have large margins to preserve the text in case a book was rebound in a smaller binding and trimmed in the process? The Texas A&M University library houses some old herbals that suffered a size reduction during prior re-bindings. Not only are the margins gone, but the edges of some of the figures as well. 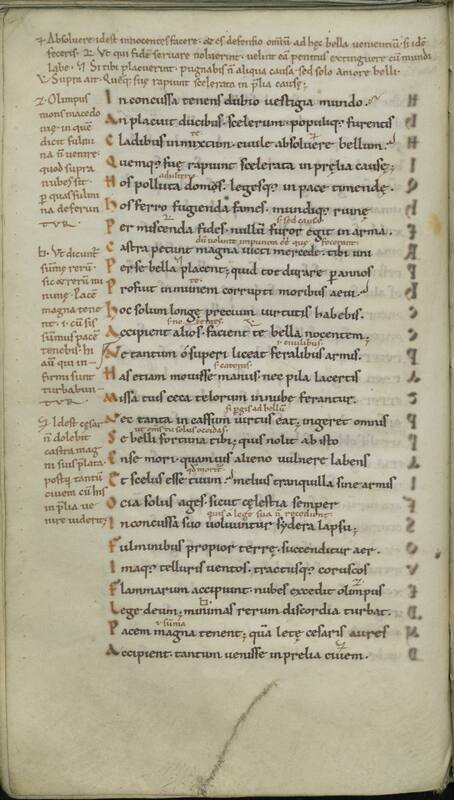 I am not sure if scribes were already envisioning future rebinding when they designed a manuscript. What about protecting texts from dirty fingers? Handling a book after a lunch of greasy mutton without the obsessive hand washing of the 21st century would leave a book brown around the edges. Did scribes plan for this as well? I am not sure, except to say that margins are generally not noticably dirty. Might it be possible that one reason for margins was to protect the text from damage? In the age of papyri and of scrolls, I imagine the risk of damage was highest at the edges, and that should not lead to a loss of text. Another explanation (for left and right margins) that comes to my mind: If several paginas where put together to form a scroll, you also might have needed some free space without text where they could overlap and be glued together (just an idea, I don’t know if scrolls where made by glueing pages together). If you put pages together into a book, at least you need a margin in the middle, or else you cannot read what is written where the pages are stiched together. On the outside, it is the margin where the pages are most likely to be touched, damaged and stained. I qouls guess it was such practical reasons that led to margins. Their size and use might just be a result of historical accidents and emerging tradition. I really like the scroll idea: there a white space around the text was truly necessary. The idea about damage sounds appealing, except that current edges are usually not damaged. WRT dirty margin, I have seen some old herbals that definitely have grubby edges. I think they saw a lot of use in physicians’ still rooms, and readers were handling plants, oils, and writing supplies while they worked. How I wish those books could talk! Adding notes and glossings was a big cultural factor in Medieval writing for sure – especially in Bibles. 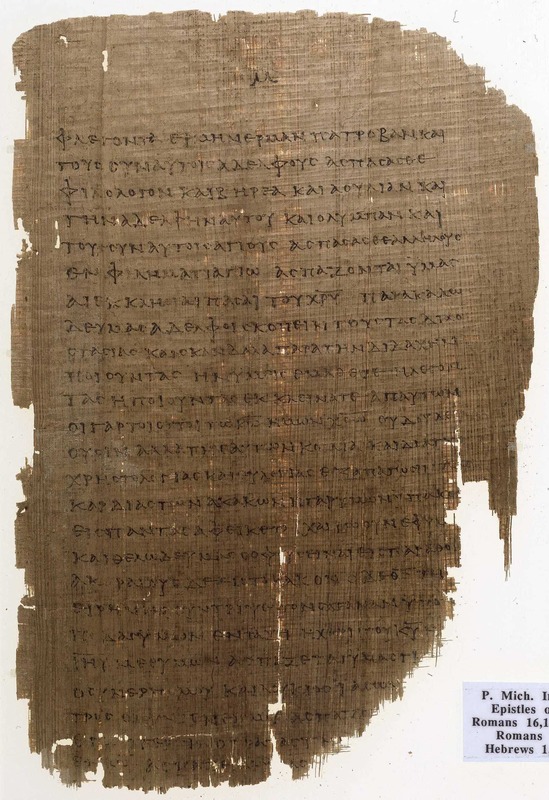 It became difficult to tell what was actually biblical word and what came purely from priests’ commentaries – https://library.osu.edu/innovation-projects/omeka/exhibits/show/the-king-james-bible/sections/item/65 for examples. Hence the Lollard desire for one, pure and readable biblical text in the 1380s. Also hence Chaucer mocking priestly glossing in eg) the Wife of Bath’s tale! I wrote a long answer, which seems to have disappeared. Thanks for your remark! There are some amazing images on your blog. Thanks for all the great content! When thinking about medieval books, I always recall the Book of Kells, and how it’s such a great visual example mingling cultures. Not enough people appreciate these old gems. I try to find images that “pop”, so it’s good to hear you enjoy them. Thanks for your comment. So, maybe medieval bookmakers and readers sensed a weaker divide between text and image, and that is one circumstance feeding the tradition of leaving open space outside the text? My understanding is that only a small fraction of manuscripts were decorated, but do you see manuscript decoration in the earliest stages of the book? This is an extremely sensible comment. 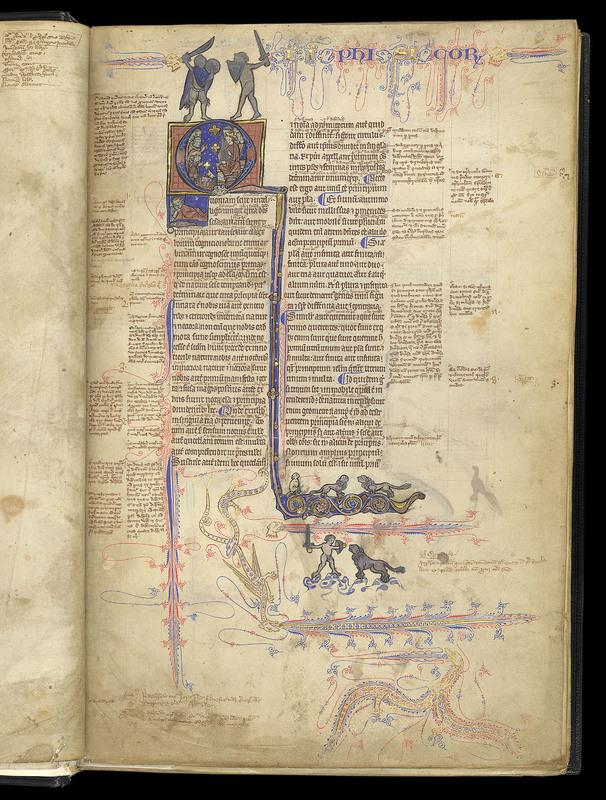 To answer your question, there are things going on in the margin that help the reader, for example to find his way around the text, to guide him to certain information, and to help him see that something is more important than something else. These efforts are universal for medieval times, but the way in which the effects were produced differed greatly between medieval periods. More to the point, decoration was not the most common way to produce these effects; it was more common to use ink and pen, and for example produce paragraphs, marginal notations, sign-posts etc. The best example of real “decoration” (it is such a broad and unclear term!) is, I think, the use of smaller and larger decorated initials – especially when they are part of the hierarchy of script and help the reading make sense of the structure of the text. Even when letters were amusing, a dynamic referred to a few times in the post, the effects I mentioned above could also be in place. In my opinion a piece of decoration could be appealing/amusing *and* do something else at the same time. Thanks for your comment. I wonder if the width/height ratio of 70%, or 1.4, may have had to do with the Golden Mean, which is 1.6 and was often considered the most aesthetically pleasing ratio in nature. It does. Great to see that already in play in modeling of these old books. I believe clay tablets were that proportion too – not sure of the chicken/egg of tablets/manuscripts but isn’t the golden mean in man-made objects purely a reflection of what we innately perceive as a perfection proportion. Medieval artist i believe were fully aware of its ‘significance’ – the Wilton Diptych altho not a ms follows that rule I believe. It is after all just like a large book. I’ll check them out – thanks. One note, sort of a tweak. 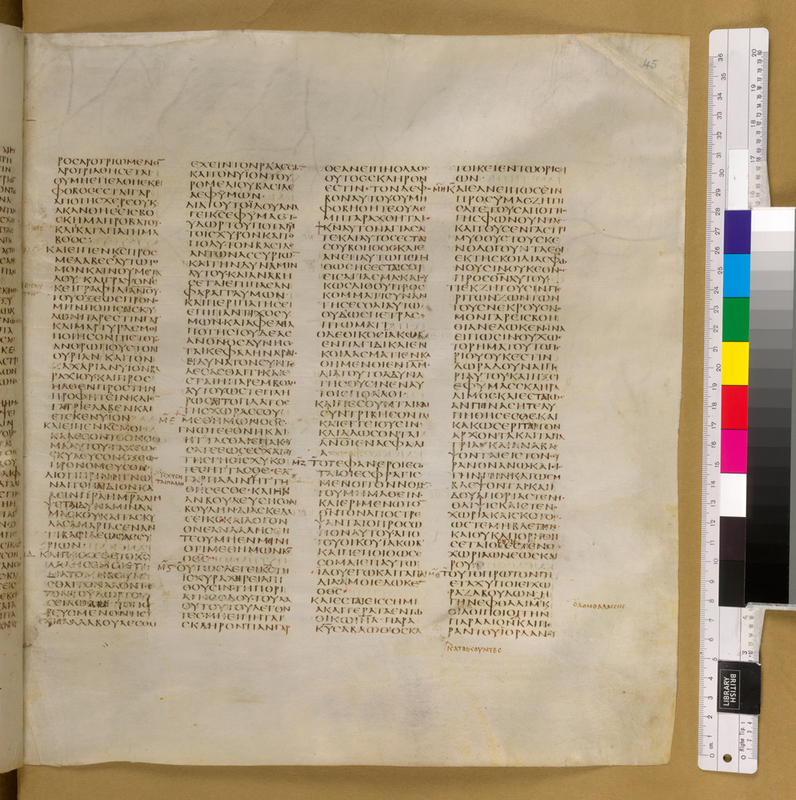 The original Sinaiticus, before the trimming (surely by Tischendorf) was quite a bit bigger. Using Metzger’s numbers for the original size, the text is only 45.5% of the page, not 58%. However, Gregory’s number would make it close to 50%. 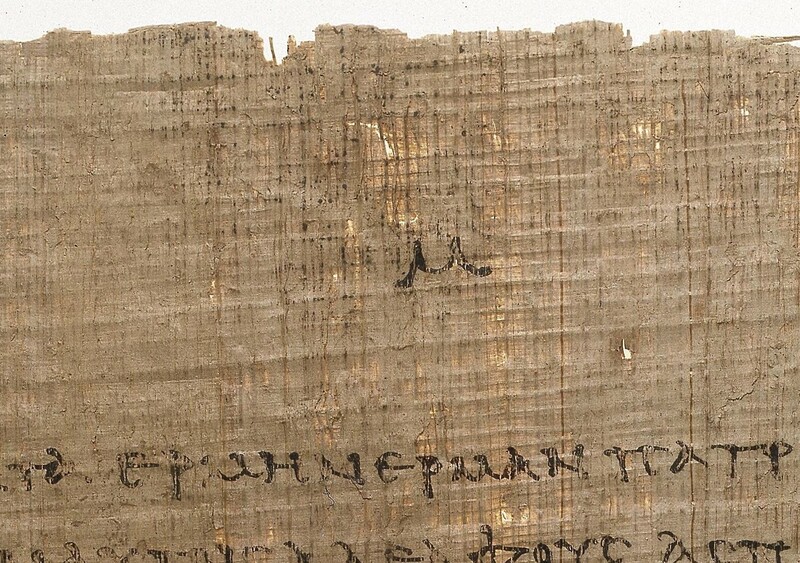 Notice the Genesis fragment with large margins. And I can think of two reasons for the Tischendorf trimming. (1) Notes on the edges that could hurt the 4th century claims. (2) Ease of transport for heists. (1) is more likely since it matches claims that were made at the time that there were margin notes that were discomfiting to Tischendorf. And it is highly unlikely that Sinaiticus is more than 180 years old. So it does not make a good ancient or medieval example. 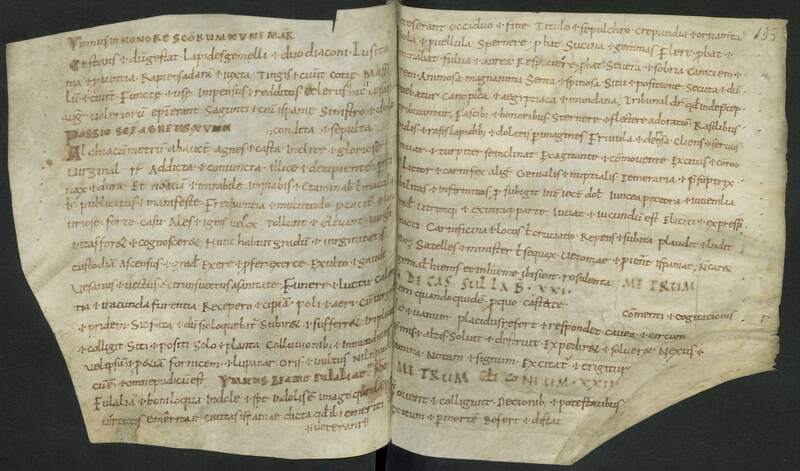 🙂 However, there are other examples of low text to parchment ratios, like Codex Claromontanus.